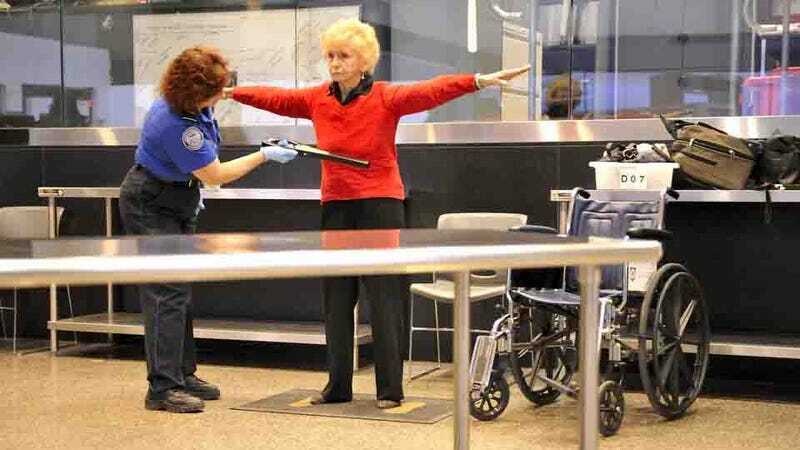 The average passenger doesn't really get excited about going through airport security, but as it turns out the TSA isn't particularly interested in feeling you up either. And it's actively looking for a way not to. The Department of Homeland Security (which oversees the TSA) wants to nix the pat-down by creating handheld scanners that would determine if a person is wearing something threatening under their clothes. It's put out queries to technology companies for a device that would weigh less than five pounds and can detect a hidden object within 15 seconds. Ideally, the tool would be able to sniff out explosives and metal.